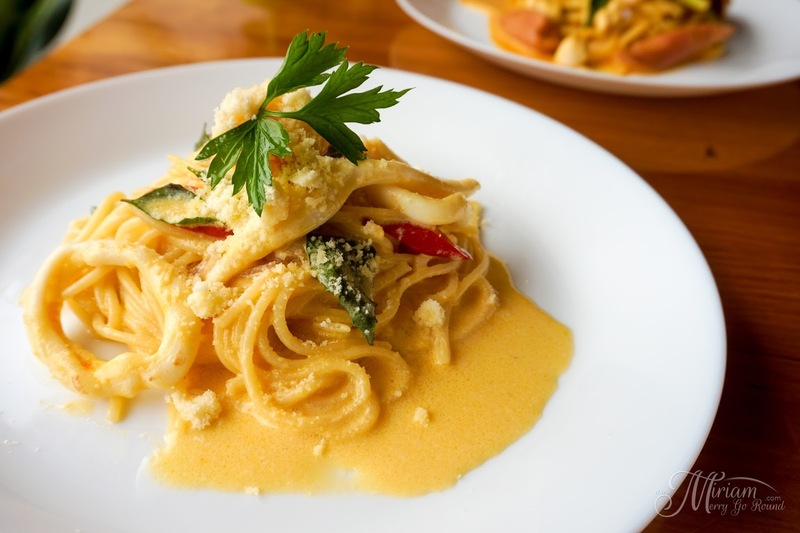 Hopping on to the salted egg yolk craze bandwagon although it is a little late with another #MiriamEats post. 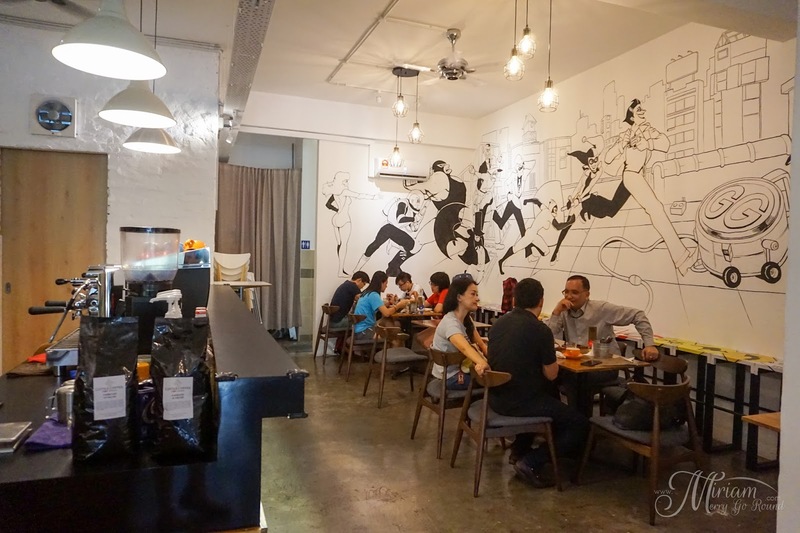 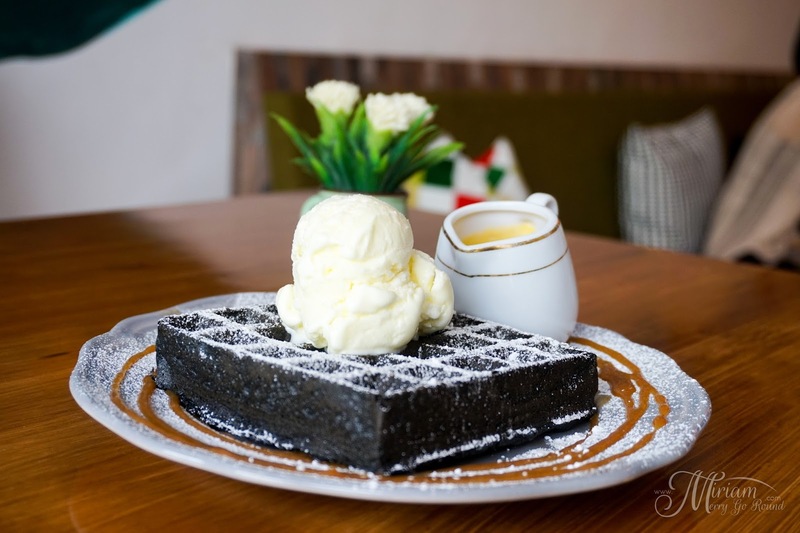 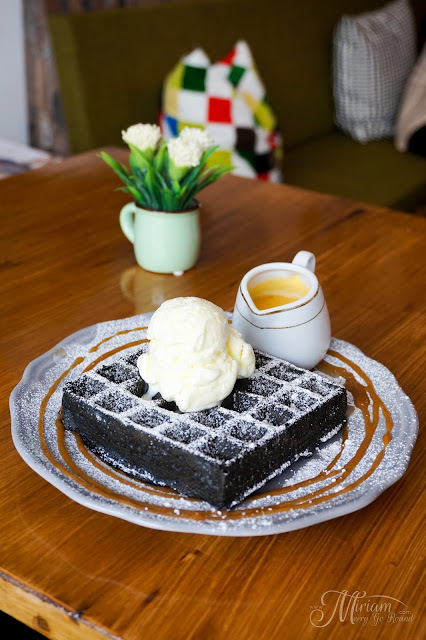 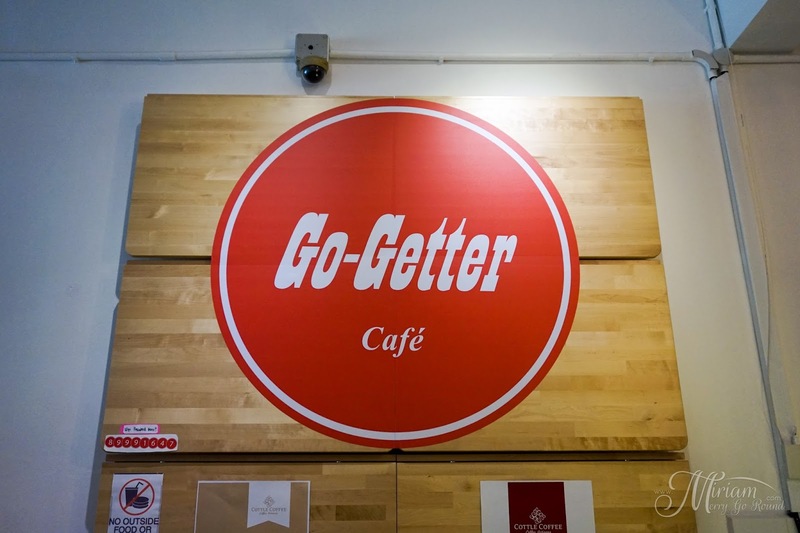 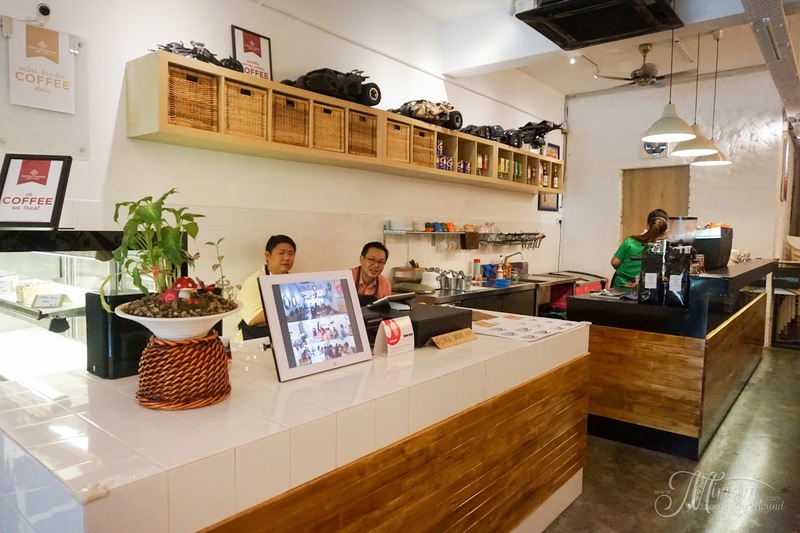 This time round, it is a cafe hopping session at Go Getter Cafe located at Bukit Jalil. If you have been to Owls Cafe, you would notice this cafe located right next to it. Go Getter Cafe is a recommended cafe to visit in Bukit Jalil and with a certain twist of events, I managed to pay a little visit to it to try their signature salted egg yolk waffles. Arriving roughly past lunch time, I was lucky to secure a parking spot so take note that you may find difficulties looking for a parking spot. 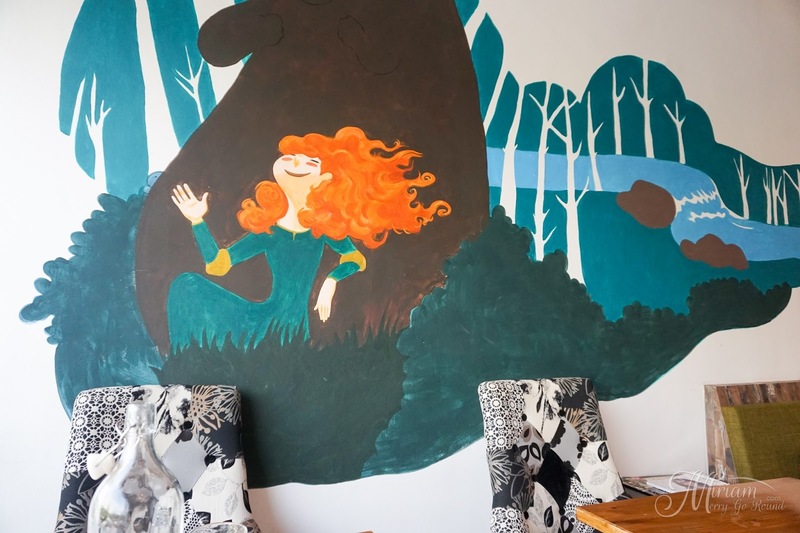 A quaint cafe located on the first floor, well-lighted and with really some gorgeous Disney/Pixar inspired wall murals. 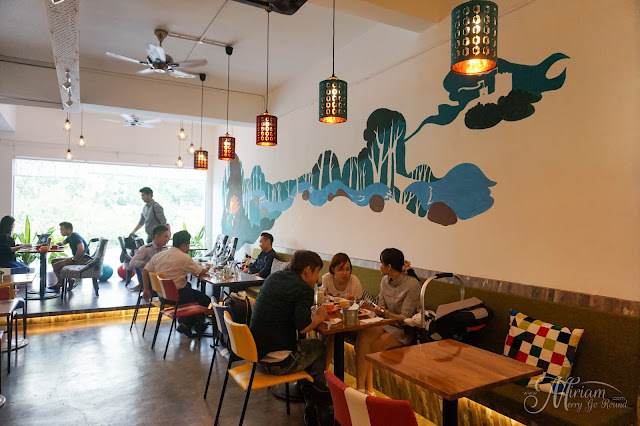 With two separate seating areas, it was spacious and you can choose to seat by the window or in the inner corner of the cafe. 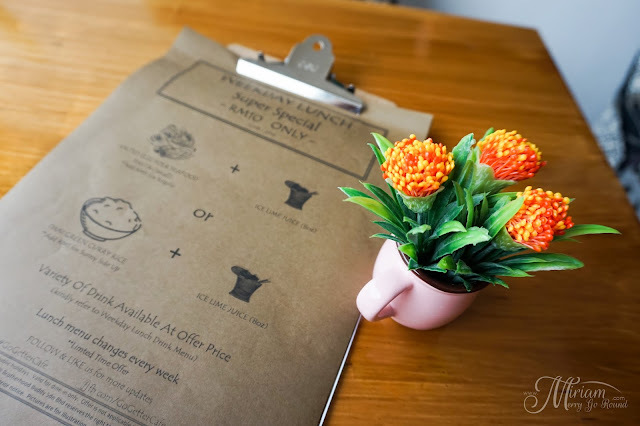 On the weekdays, Go Getter Cafe have a Weekday Lunch Super Special menu for only RM10 where you get to choose one of their mains which comes with a drink too. The mains varies every week so for that particular week, they were serving the Salted Egg Yolk Seafood Pasta or the Thai Green Curry Rice. 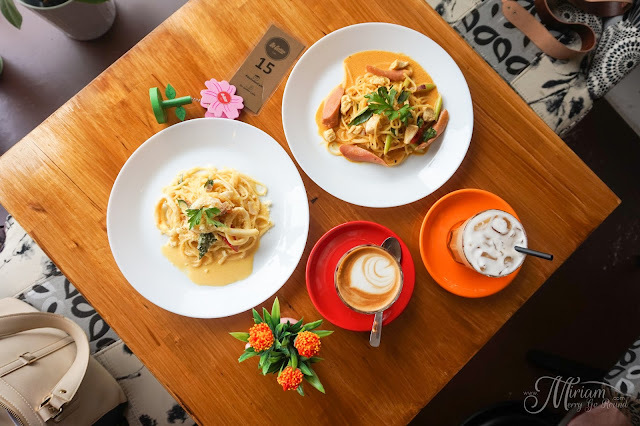 Both the dishes come in the small size but you can top up RM5 to get the regular sized pasta or top up RM1 for a sunny side up egg for the Thai Green Curry Rice. Both meals come with an Iced Lime Juice. 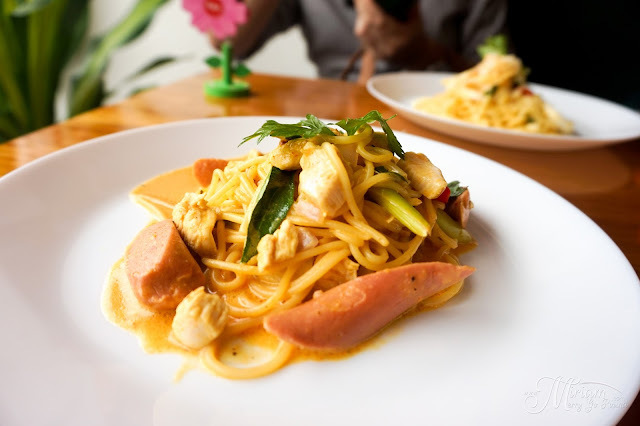 While I opted for the Salted Egg Yolk Seafood Pasta, my companion ordered the Nyonya Peranakan Pasta which definitely smelt really good. 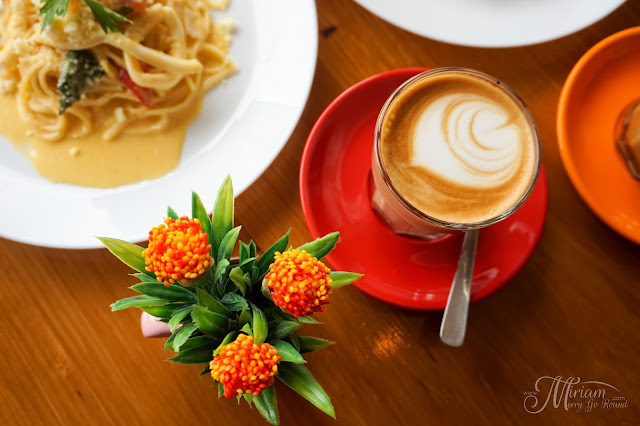 This fusion of western and traditional nyonya twist hit every notes correctly, leaving us satisfied. 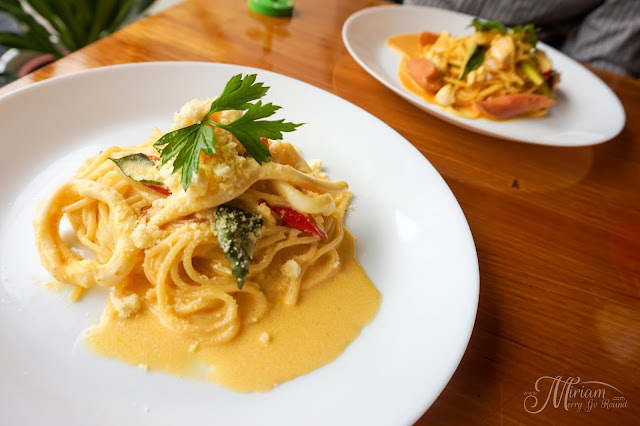 For those of you who are a fan of salted egg, you would surely love the salted egg yolk seafood pasta because it was sinfully savoury and aromatic. 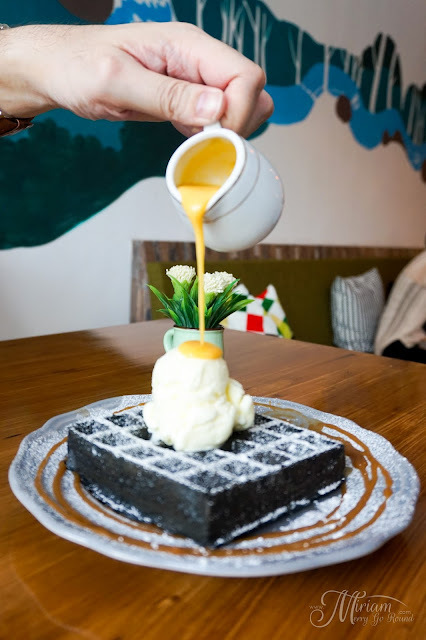 It was not too thick that you might get sick of it after the first bite, but it had the right amount of salted egg yolk in it to give it it's distinctive taste. After we were done with our meal, we certainly could not leave without trying the signature Salted Egg Yolk Waffle. Presentation wise, it was simple with a charcoal waffle topped with vanilla ice-cream and with the sauce served on the side. 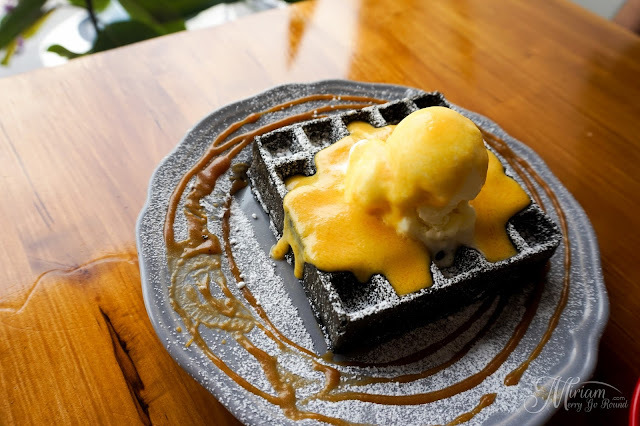 The salted egg yolk sauce was thick, golden and luscious as it drizzles over the ice-cream giving it that pop of color! Taste wise, I would say that the salted egg sauce sure was creamy and had the right amount of salted egg yolk in it. 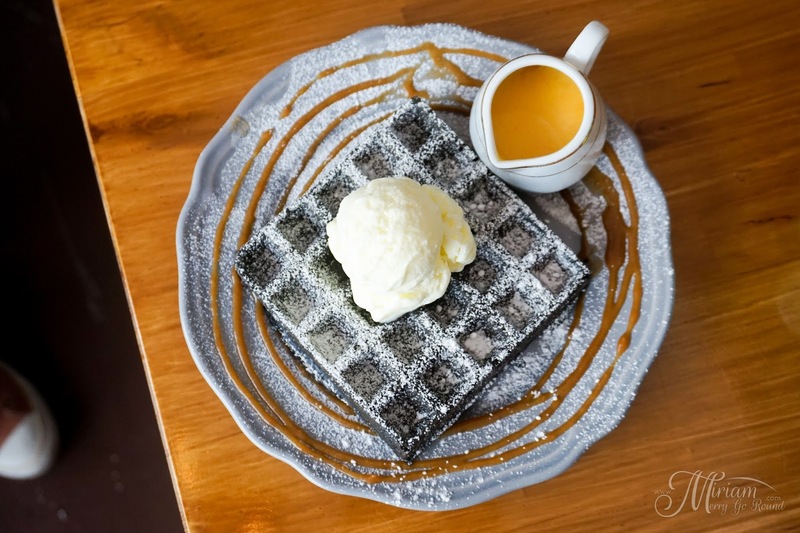 It paired well with the waffle and the ice cream. 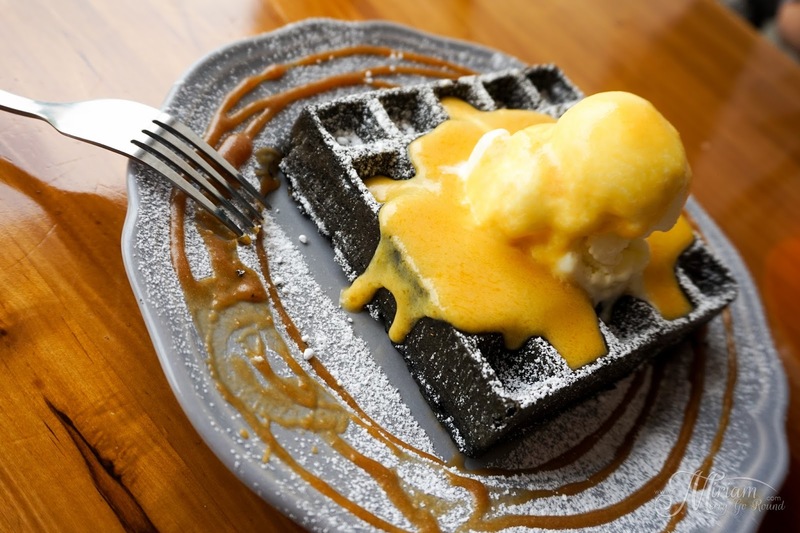 The only improvement which I hope to see would be a fluffier waffle and creamier ice-cream. 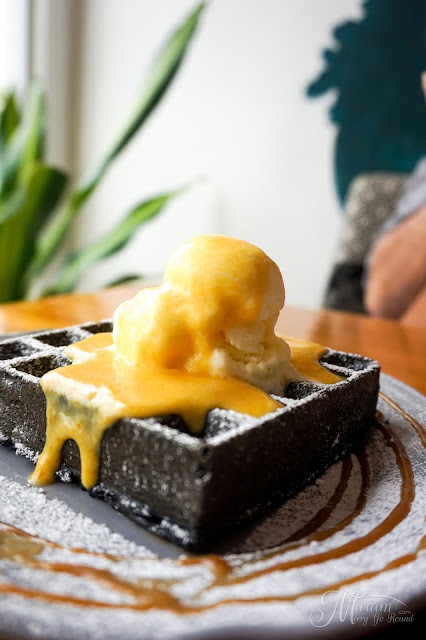 While all three elements bonded well together, the ice particles in the ice-cream were definitely something I did not really enjoy.